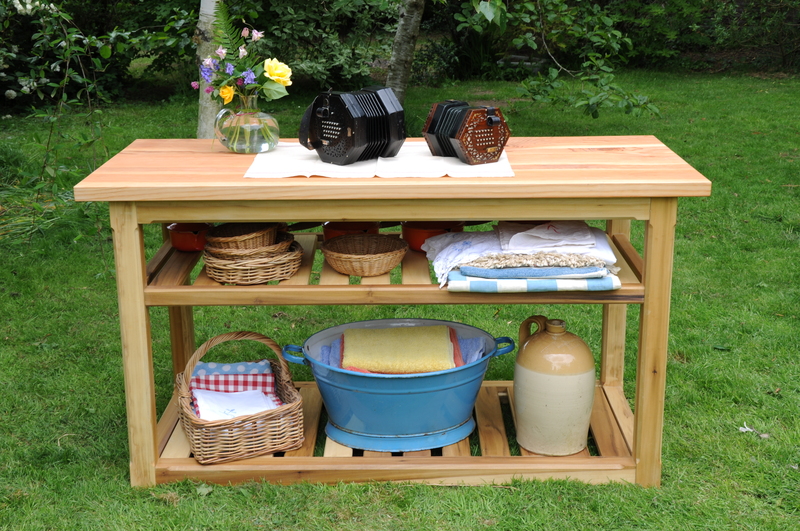 This piece was designed as a worktop with two slatted shelves, to accommodate vegetable storage in the upper shelf & two large Labrador dogs (plus baskets) in the lower! 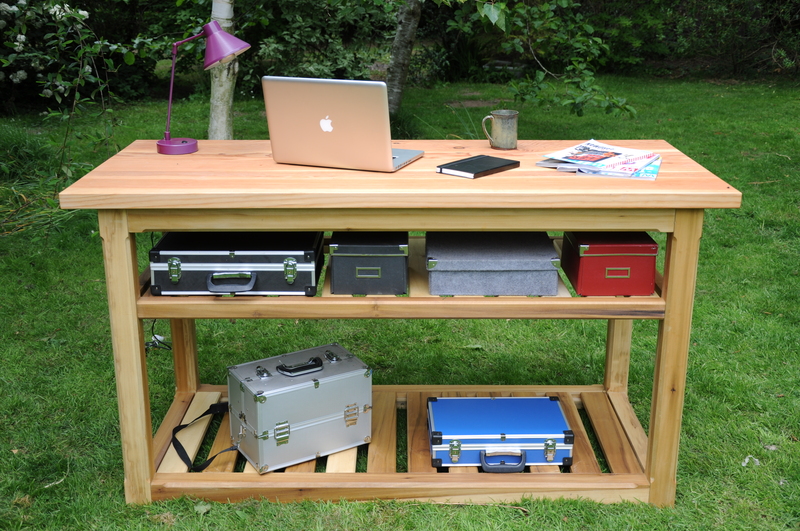 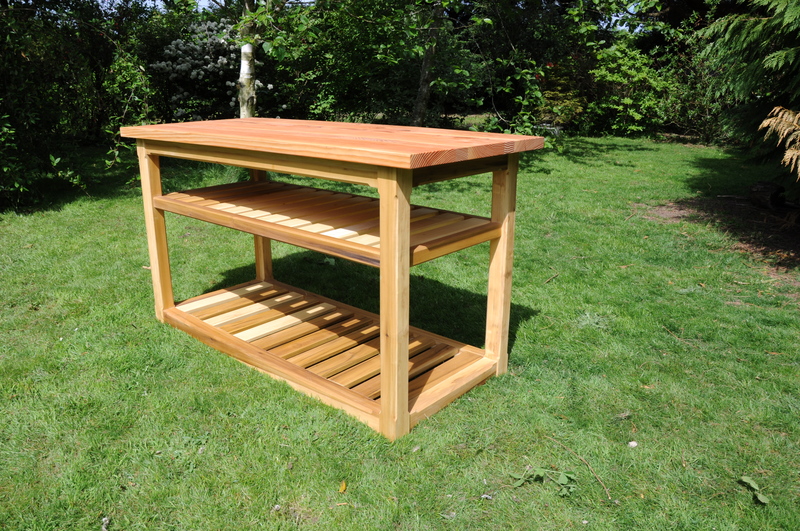 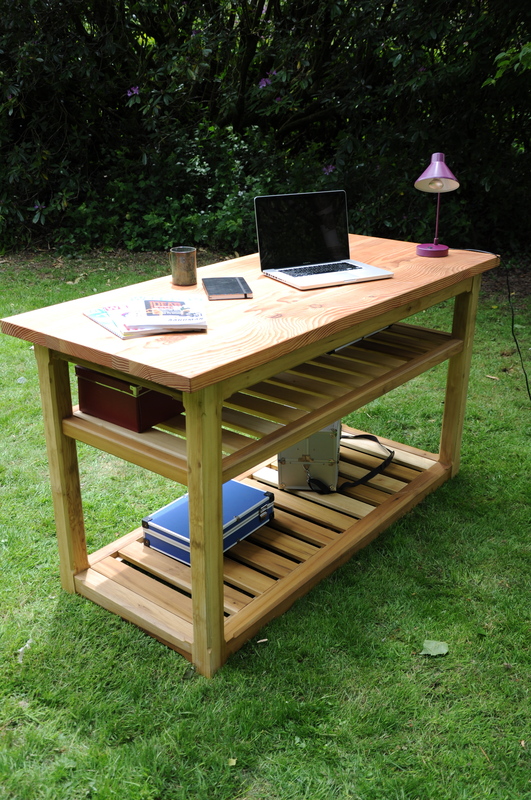 The base has been constructed of tulipwood, finished in vegetable wood oil (to enhance the unusual colour & grain). 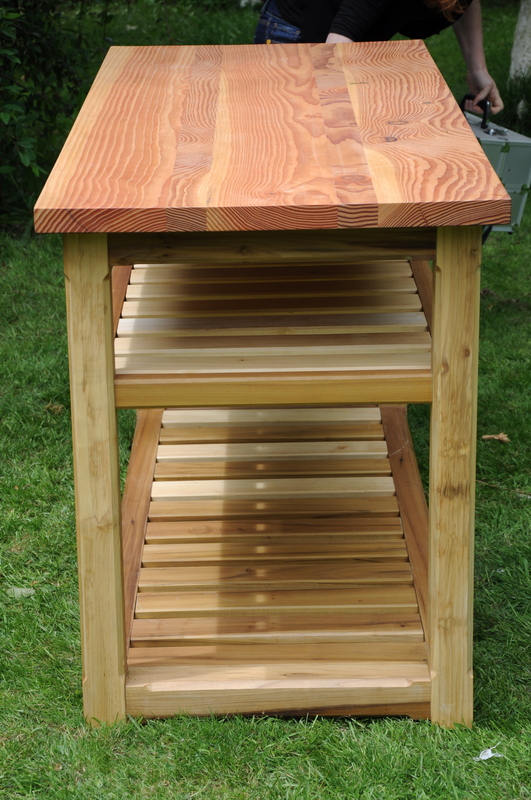 The top being reclaimed cedar. 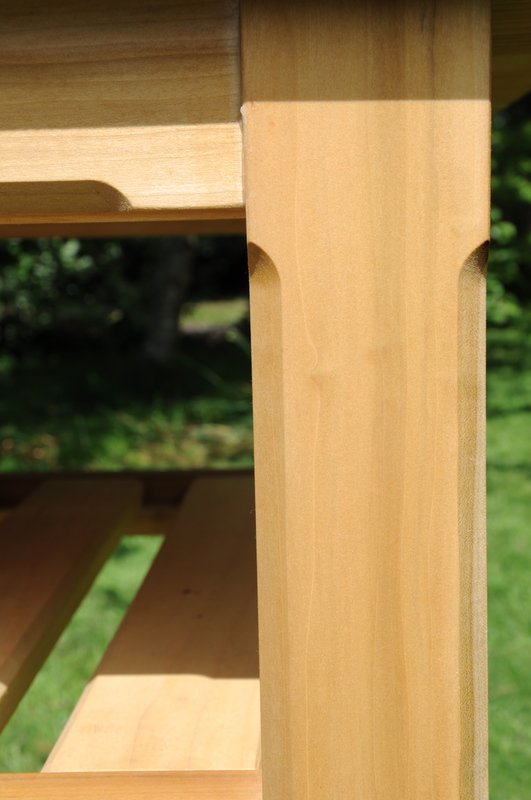 Traditional mortise & tenon jointing has been employed throughout.